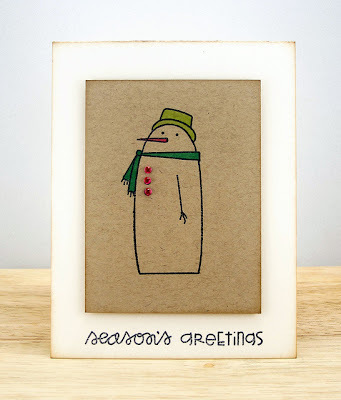 Happy holidays and happy stamping!!! I'm mainly a SAHM to my amazing 6 yo daughter & wife to my fabulous husband- both of whom are really supportive of my crafting! We live in beautiful Western Washington state- a great place for boating & gardening (I enjoy both!). Besides loving to try all types of crafts, I am also trying to grow my photography skills. I'm pretty sure I'm addicted to paper. And ribbon. And probably stamps. Many moons ago I went to a home catalog party- and I was HOOKED! 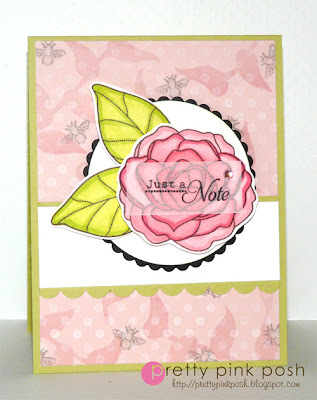 I got away from it for a long time, until my friend, Cindy, introduced me to PTI, the world of acrylic stamps & blogs! Finding time is the biggest challenge these days! I thought I'd have lots of time during the day now that Hadley is in school full-time. Not yet! I still find evenings to be my creative time! Somewhat. Often times a trend will come along & inspire me to try something that I might not have otherwise! Staying focused! I want to try it all! If you were stuck on a deserted Island, what THREE paper crafting supplies would you HAVE to have with you? Is there a designer in the paper crafting industry that inspires you? If so, what about their style or technique calls your attention? A designer? There are SO many that inpire me! 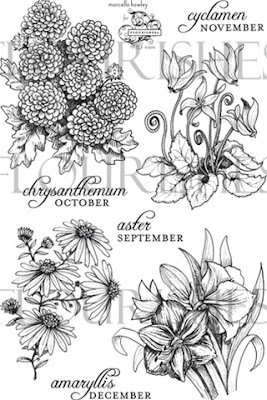 Since you say 'industry' I'll go with Nichole Heady of Papertrey Ink & her design team. 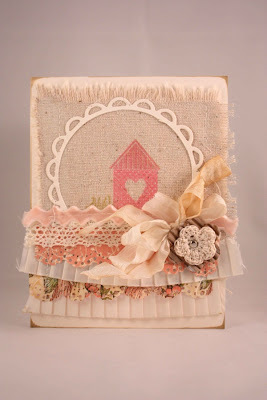 I love the variety of styles they showcase- from CAS to shabby & gorgeous. Someday I hope to be able to layer products & goodies like Danielle Flanders, Betsy Veldman & Ashley Cannon Newell! Their attention to detail is amazing. I don't know that I can! It really depends on my mood & what I'm creating for.... Sometimes my finished product is VERY CAS, and sometimes I can layer some things together- that's something I'm working on! I've only recently come to enjoy fun & cute (thank you Lawn Fawn!). ahh. Some cards can take for-EVER! Days even. But if the stars are aligned I can make something in 15 minutes. I wish the stars were aligned more often! 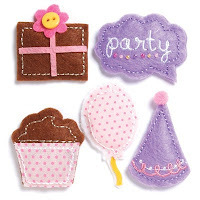 Do you have a favorite occasion to create for? Probably birthdays. I think it's special to give something handmade. When you are finished with your creations what do you do with them? Are you on any Design Teams or have served on any in the past? Please include guest design positions? 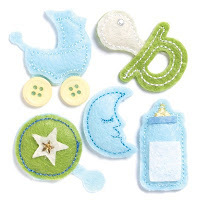 Oh my, can't stand making a newborn card without these cute accents!!! I started my quilling in April 2011 and I came to know about it through an art and craft blog which followed Inna’s blog for the quilling. I don’t own any quilling or other craft books and my only source is Internet and I love to research about the newer crafts around me. The tips and tutorials provided by fellow crafters are other great resource. 3) Describe yourself as an Artist , what hobbies do you like and practice? what other forms of art do you like? I call myself as a beginner in Quilling as I have only 6 months of practice. I love to do pencil sketching, cross stich, origami. I have learnt Carnatic music, Classical dance (Bharatnatyam) and Musical instrument Veena. Cooking and Gardening are most lovable part of my routine. Currently Quilling has turned from a hobby to an obsession. 4)How long have you been crafting in general ? It started well from my childhood days as my Mom is an artist. I have seen her doing water color painting, oil and acrylic paintings , Crayon, Pastel colour paintings. She is my true inspiration always. She took me to all drawing competitions in and around my place; cross stich and embroidery are my childhood time interests. 5) Do you work or study? and does practicing hobbies affect any aspect of your life? Am a MPhil graduate in Toxicology specialization and have a pulsating desire to pursue my PhD. And also involved in my Educational institution (Little Gems) in Chennai, India. As of now, a Home maker, Mom of two and a half year old kid. These hobbies makes my life worth living. To inspire and being inspired is the way of life to me. Am absolutely happy with what I have, learn and make everyday. 6) Do you attend workshops or give workshops ? I have not attended any workshops yet or given one. Am looking forward from Amna to give a workshop in India, in future, so that many of my country fellow quillers will benefit too. 7) Have you gained any benefit from your art? what kind of benefit ? I don’t have any monetary benefits. Yet I get a complete self satisfaction and true happiness out of these works. Utmost dedication and perfection is what I seek in every work. 8) What advice do you have to other crafters? I would like to see more people in this Emirates Quilling Guild to get involved and to learn crafts. Its a real pleasure in life to be connected with the talented artists across the globe and to get their valuable suggestions, comments and views. This makes us to improve our skills in a greater sense. I wish to add an important point, that each artwork is unique and has a special value. Due to plagiarism, many talented works are not being shared for the rest of the world. 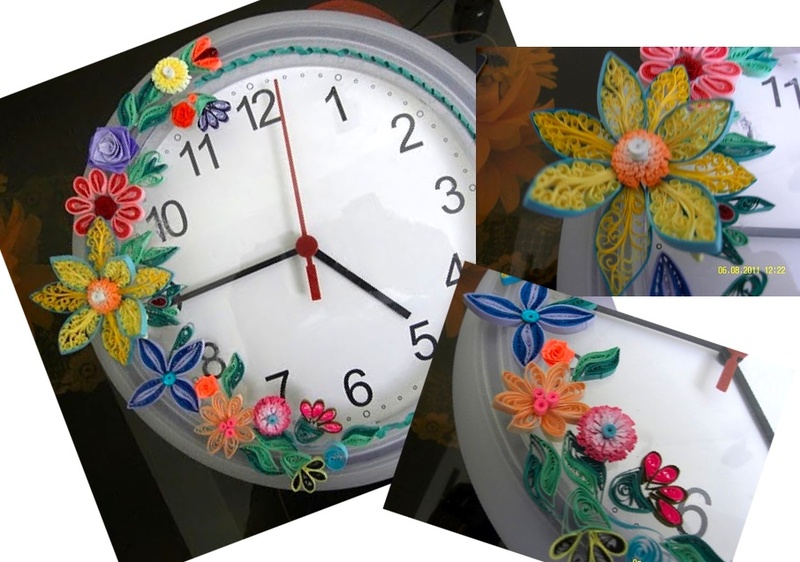 All members love to browse through the quilling art shared by other artists, and to get inspired. Being artist/learner, I feel each work has to be rewarded and has to be valued properly. Those who wish to follow an artwork or unique technique invented by the artist, please do mention the due credits. That way, the creator will be rightly rewarded and this can make them create many more such wonderful creations. Many thanks to Amna for inviting me to share some of my background in quilling art with all of you. I actually feel really honored and grateful for being invited. My sincere thanks to Inna (http://increations.blogspot.com/) whom I consider as my silent teacher. I really got this passion for quilling from her. Her wonderful illustrations with apt pictures, tips, tutorials are awesome source for any beginner like me. Her blog itself is a wonderful must treasured book for me. Everyone who comes across her blog will fall in love with this Magic called Quilling. My Special and hearty thanks to Suganthi Mohan (http://papercraftss.blogspot.com) without whom I am unaware of this lovely Emirates Quilling Guild or wouldn’t have entered this blogging world. Thank you so very much Amna once again for giving me an opportunity to display my artworks in the Exhibition. 1. Tell us a little something about yourself? My name is Kelley Eubanks. I have been married to my husband, Michael, for 13 years. We have an almost 5 year old son, Carver, who is a hoot! I am blessed to be a stay at home mom/wife. We live in TN... right outside of Nashville. 2. 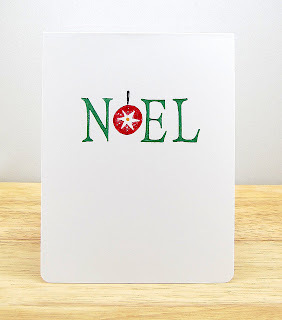 When and how did you start card making? 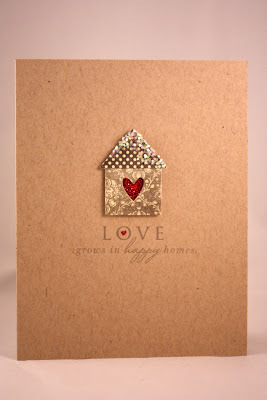 I was invited to a Stampin' Up workshop about 4 years ago and I was hooked instantly. I had played around with scrapbooking and card making before that and already had a stash of craft supplies. 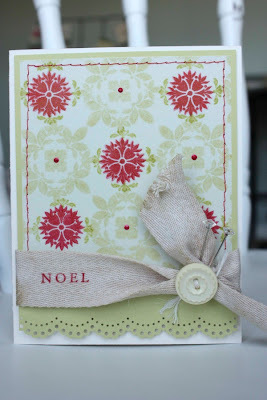 It wasn't until I attended the workshop though that I found out card making was a passion of mine! 3. When would you say you are most creative? Being a stay at home mom, I don't have time to craft during the day so I am definitely most creative at night. After Carver is in the bed... I get to have my time, relax, and create! 4. What is your favorite technique? 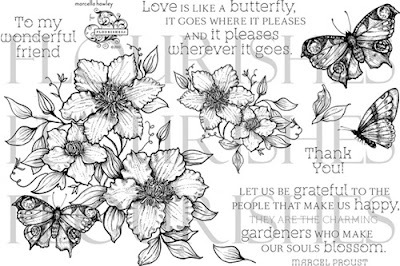 I love to use markers to ink rubber stamps. I love that you can ink a solid image different colors before you stamp it. 5. Do trends inspire your creative process? I don't think so. I am not really a trend watcher. I tend to just go with what inspires me/appeals to me in all areas of my life! 6. Is there something about paper crafting that you find challenging? Layers for sure! I am a clean and simple minded girl. I cannot add layers of paper and accessories! I wish I could but it just doesn't work out for me! 7. If you were stuck on a deserted island, what THREE paper crafting supplies would you HAVE to have with you? 8. 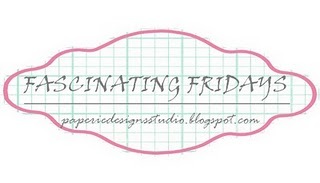 Is there a designer in the paper crafting industry that inspires you? There are so many people in this industry that inspire me. I would have a hard time naming one person... or just five for that matter. I love blog hopping because I never know what someone will make that will inspire me! 9. How would you describe your own style? Clean and Simple is usually what I go with! 10. How long would you say it takes you to complete a card or project? Since my style is clean and simple... I would say on average about 20 mins. 11. Do you have a favorite occasion to create for? Halloween and Christmas are my favorite for sure!! 12. When you are finished with your creations what do you do with them? I keep a small stash of cards, tags, etc. on hand to use. I give the others away. I have given a lot of cards to my mom and some to friends. Just recently I put a basket of cards/tags in my husbands office for his co-workers. Michael is a Pastor of Students at our church. The staff at the church know the cards are there for them to go through whenever they need/want a card to hand out or mail. 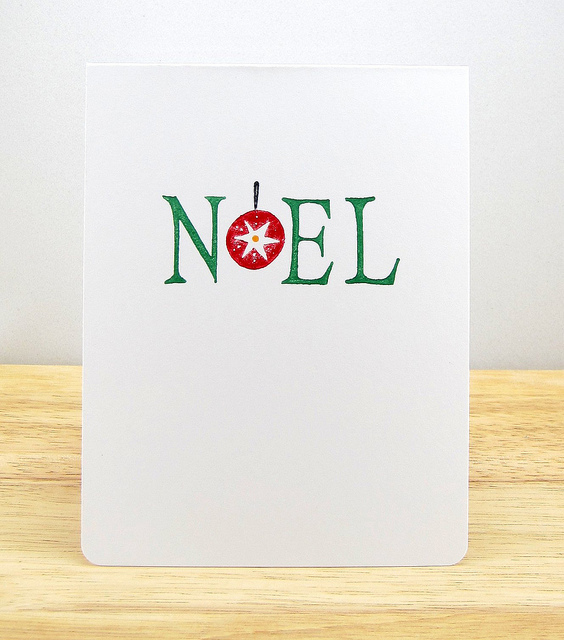 I am hopeful that it will save them a little money and bring whoever receives the card... a little happy! I would encourage anyone, who creates more cards than they can use, to do the same. You can give a basket to your church or your kids school for the teachers. I plan to keep the church basket stocked up as I can and then look for another place to 'help' as my stash of cards increases. 13. Are you on any Design Teams or have served on any in the past? Please include guest design positions? I am currently on the Penny Black Design Team, Paper Smooches SPARKS Challenge Design Team and the Avocado Arts Design Team. I 'officially' started with the Avocado Arts team in January. I have been on the PSA Essentials Design Team and I have been a guest designer for Skipping Stones and My Creative Time. A CAS gorgeousness, straight from the master of clean & simple!! They are so fun, don't you think?? These are such good examples of how only a couple of basics can go a long way. Just bee-u-tiful, Kelley!! Thanks for inspiring us today and thanks all for peeking :) Fantabulous Friday!!!! and more... Got the stuffs now its time to craft :) See ya tomorrow at Fascinating Fridays!!!!! I started cardmaking when I was a little girl. My mom owns a rubber stamp company, so I've always grown up with stamps all around me. I casually played with them as a child, but didn't really start to make it a hobby/ passion until a few years ago. Oh, that's a hard one....my creativity comes in spurts. I would have to say, after I browse blogs, I'm usually feeling pretty creative. Honestly, I can't say I have a favorite. I'm kind of all over the place when it comes to crafting, so I'm constantly using different techniques. Yes, they can at times. While I wouldn't say I'm super "trendy", I do like to know what is popular. On occasion, I'll add elements of trends into my projects. Oh, this is a torture for me, I love so many things. If I had to choose, it's my Big shot, Spellbinder dies and markers. I can't honestly say there is one specific person. I'm constantly being inspired by fellow bloggers and crafters. I'm having a hard time describing my style....I suppose it usually is fairly clean, and generally girly. I would have to go with birthdays. 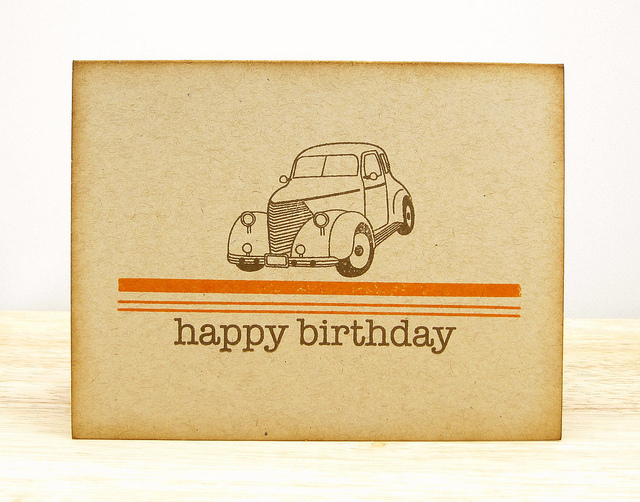 It's fun to try to create a card that fits the recipients style. A good amount of my cards go to various stamp shows across the country (to be displayed in the DeNami Design booth). However, I do also send my cards to relatives and friends, and occasionally will sell some. 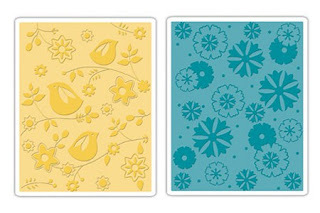 I'm currently a DT member for the Young Crafters Unite blog. I'm also a Contributing Designer/ Blog Coordinator for the DeNami Design blog. 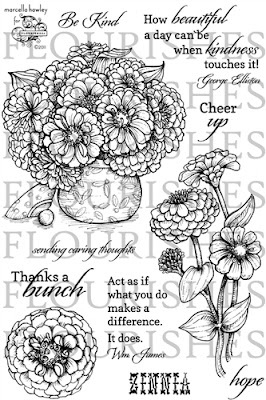 In the past, I was a DT member with Practicing Creativity Designs, and have served as a Guest Designer for the Play Date Cafe Challenge, WPlus9 Design Studio and Simply Scrapping Crafts. Such striking cards, Paulina!!! Your work is absolutely perfect and clean... Thanks dear for inspiring us today and thanks to all for joining.... Fantastic Friday!!! and much much more.... Have to admit that my heart is fluttering right now :) Wonderful day ahead!!! I am Kavya Nagalakunta currently studying in The Indian High School, Dubai. I am a 12 year old girl interested in learning various arts and crafts. 2) When did you start paper quilling? And how did you know about it? Whenever I go to India I always watch various art programs on the TV. Two years back, I came across a segment where an artist introduced paper quilling. He showed how to make a basic flower and some 3D quilling and I did try it out. Later I tried it thrice in my assignments and created the quilled tulips. But this year I came across Yasmin aunt in Arte exhibition on June and I was amazed with her creations. She even told me some tips on making miniatures. I later bought a mini mould from her and tried out quilling and I am now experimenting with it. 3) Do you read books about quilling and other crafts? Or what sources do you use mostly? After meeting Yasmin aunt, I came to know about others quillers and their works. I also refer books and checkout other blogs too. 4) What hobbies do you like and practice? What other forms of art do you like? How long have you been crafting in general? I try out various crafts during my free time and I also joined Art Clubs in school where I learnt the basics of Origami, Relief work, drawing and painting, mirror carving, etc. I also play the keyboard sometimes. I have been crafting in general since I was 10 mixing art with my school assignments. 5) What inspires you to work and where do you get your inspiration from? 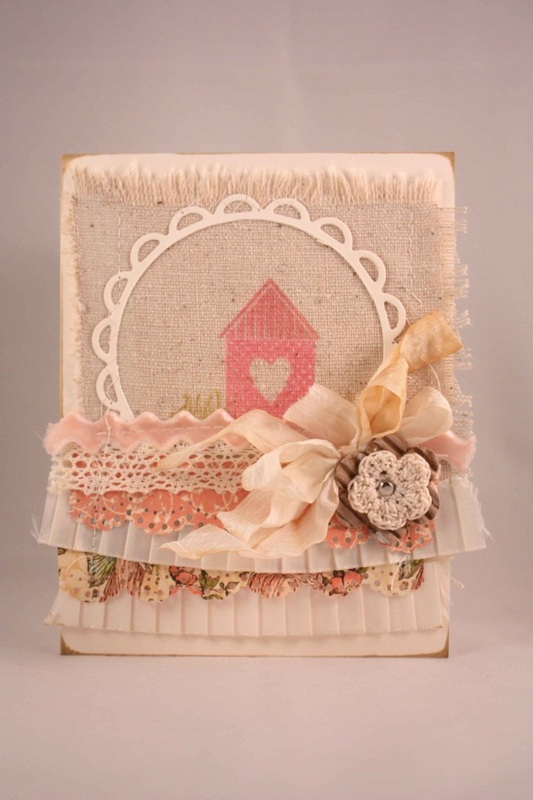 Various artists and crafters inspire me with their works. I am surrounded with some amazing parents, teachers, friends and others who always inspire me to bring the best out of me. 6) Does practicing hobbies affect any aspect of your life? I am currently studying in Grade 8. Hobbies allow me to express myself better. 7) Where do you get your quilling supplies from, and what alternatives do you have if these are not available? I used to cut my own strips before but later found some craft stores in the UAE and India that cater my needs. 8) Have you attended any workshops? I have not attended any workshops for quilling but I attended classes for other crafts such as Mirror Carving and Relief work. 9) Have you gained any benefit from your art? What kind of benefit? Pursuing art has given me an immense pleasure. These skills do come in handy at times. Kavya, you're very creative and skilled!!!! I'm very certain you'll master this art one day :) Keep learning and inspiring...Thanks sweetie for being a part of Fascinating Fridays and thanks to all for visiting us today.... Fabulous Friday!!! !